When operating in the abdomen via direct incision (as opposed to laparoscopically), it can be a challenge to get adequate and clear access to the area being worked on. For C-sections in particular, the challenges of getting direct and clear access to the uterus are several. Some physicians prefer to move the uterus outside the incision to work on it exteriorly to ensure accessibility. Babies are often born this way, and the uterus is then sutured and returned into the abdominal cavity. This presents it's own challenges, such as nausea and vomiting in the patient. For physicians who may want some additional help with in situ (within the abdominal cavity) repair—or even because they want to avoid extra-abdominal uterine work—the Alexis C-section Retractor may be a useful tool. 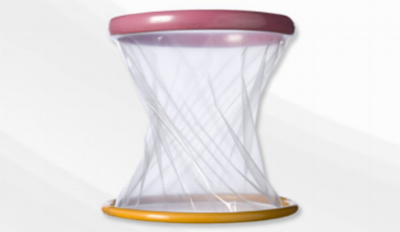 Approved by FDA in 2006, the Alexis C-Section Retractor is a disposable, single-use medical device that helps facilitate in situ uterine procedures—specifically C-sections—by allowing the uterus to remain in the body and providing clear access to it by aiding in retraction. It comes in two sizes to accommodate different anatomies and incisions. One ring is inserted into the incision and placed around the uterus. The external ring is then rolled down to increase tension, retract the wound, and open up the area for surgical access. It's worth noting that there are conflicting opinions about whether it is best to operate on the uterus in situ or extra-abdonminally (exteriorly). To that end, a 2008 NCBI randomized controlled trial determined that "there is no significant difference between extra-abdominal and intra-abdominal repair of the uterine incision at cesarean delivery, but the number of sutures is lower and surgical time is shorter with extra-abdominal repair, although moderate and severe pain at 6 hours is less frequent with in situ uterine repair". Ultimately, the Alexis Retractor is a device that provides options. I imagine some surgeons will have their procedures comfortably down pat and don't feel they need an extra set of (proverbial) hands, while some will embrace the opportunity for the extra help.